2019 has begun with a bang, 4 days in and already two Must Watch edits to get you inspired! I am a big fan of the Jimalog edits, and this 2018 Matsudo Year End Jam edit filmed on 29th December at Matsudo, Hall 21 of Forest in Chiba,Japan hits the spot! With an amazing list of riders, Akihiko Takahashi, Masashi Itani, Yu Shoji,Takuji Kasahara, Takumi Matsumoto, Moto Sasaki, Takahiro Ikeda,Yasunari Ishijima, Takahiro Enoki, Kazuma Nakajima, and Kenji Mori. As with all Must Watch edits, let’s get into what’s so great about this one! 2:18: Takahiro Enoki, Xft carved hitch crazy pivot to backwards backpacker backwards whiplash out, I still rewind this one after three rewinds already. Timeless move! 2:37: Takahiro Ikeda, been waiting to see Takahiro do the pedal time machine walkover decade to one kick greater into a line without laying bike down and he gets it done here and finishes the line with a time machine variation I have never seen before. Unreal technique! 6:42: Takahiro Enoki, 6:42 and Takahiro hits a dream line of mine, opposite dump ride in, pivot xft upside down ice cream pivot backwards two footed dump pivot opposite xft cream! Just beautiful! 7:30: Moto Sasaki, what a mad line to finish a wonderful edit from Jimalog. Hang ten pivot to xft crackpacker turbines (hard enough) out to xft steam pivot jump to right side pumping halfpacker carved in circles into backwards pumping halfpacker in circles into backwards one footed spinning halfpacker step through to spinning hang ten out! Ridiculous! As well as the amazing lines from everyone, this edit has a feel good factor about it. Friends together, riding, sharing, supporting. What a start to the year, big up Jimalog and all the riders for this treat! Award nominees announced later, it’s a good day! 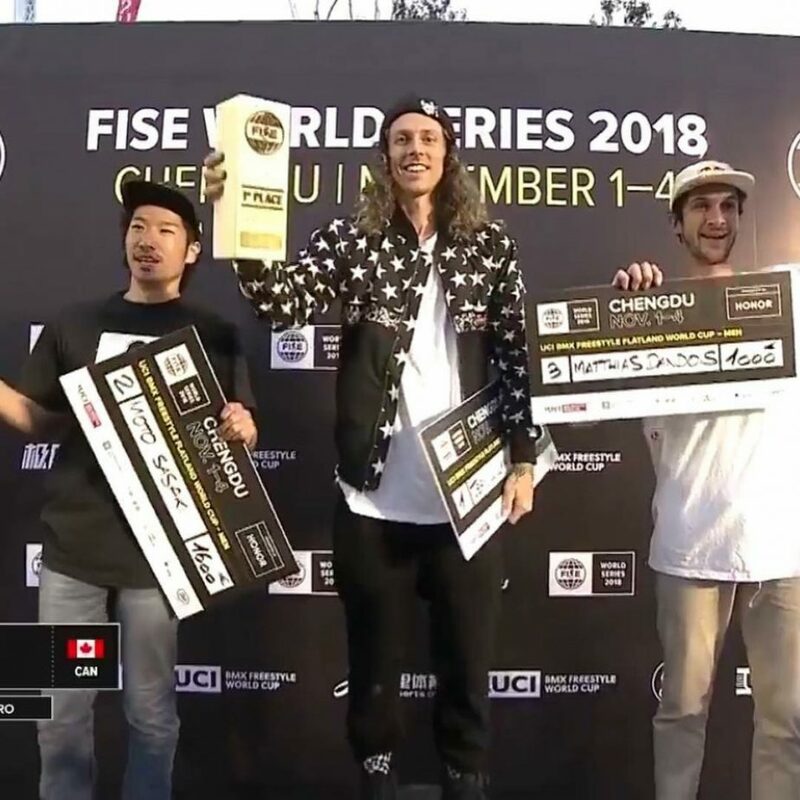 Congratulations to Jean William Prevost who took the win at the final stop of the Fise World Series in Chengdu, China. Dub was followed on the podium by Moto Sasaki and Matthias Dandois, you can watch the top three runs, check the results and the whole finals below. Congratulations also to Matthias Dandois who took the year end Fise World title, followed by Alex Jumelin and Jean William Prevost. Let’s take it back for this week TBT. The second annual Red Bull Fight with flight contest went down in January 2009! Held in a unique aircraft hanger location in Indianapolis, IN. The likes of Matthias Dandois, Matt Wilhlem, Terry Adams, Shintaro Misawa, Jean William Prevost, Dom Nekolny, Jesse Puente, Moto Sasaki and many more go head to head battle style. Matt Wilhelm came out on top on this occasion, Red Bull put together this documentary style edit from the event. Keisuke Tanigawa: Xft ride in to two footed xft steam pivot halfpacker body varial line at 3:08, that keeps getting more tech as goes on! Moto Sasaki: Around the 3:39 mark, the first couple of switches from Moto, Hang ten backwards spin switch forward karl, all within seconds then into a long line..
Yohei Uchino: 4:25: signature Ucchie bike flip line, with bonus back wheel tech thrown in before the flip. Great footage from the recent Flat Games contest in Chiba, Japan featuring so much awesome riding in order from: Ryo Katagiri, Ryosuke Takagi, Nao Yoshida, Yorimitsu Miyata 00:48! !, Naoto Tamaru, Shinichiro Hara, Yasuhiro Uehara, Kazuma Nakajima, look out for the young ripper Takumi Isogai at around the 1:52 and the no handed spinning halfpacker whip halfpacker line at such a young age at 2:17, unreal! Masashi Itani, Keisuke Tanigawa, Naoki Watanabe, and Fumiya Kanna, great edit by Yasushi Kajiwala! Don’t sleep on this, underground japan at its finest, I believe Moto Sasaki organised this event. Thanks to Lee Musselwhite for the heads up on this one! Matthias Dandois took the top spot yesterday at Fise Edmonton, followed by Jean William Prevost and Alex Jumelin. You can watch Matthias Dandois qualifying run with some nice commentary from Darryl Nau and Lionel Cardoso and below we have the full semi final runs for you to watch. 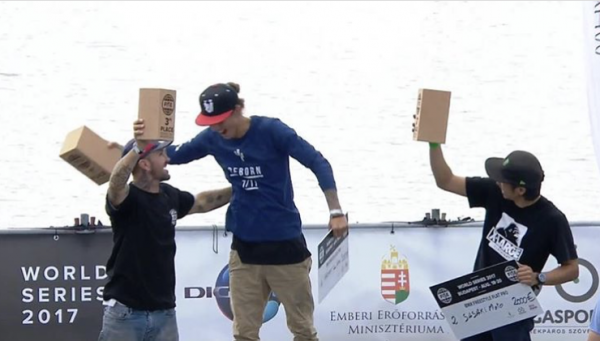 Congratulations to Jean William Prevost taking the second Fise win in a row at Stop 2 in Budapest, Hungary followed by Moto Sasaki and Alex Jumelin. You can the top 3 runs above and the whole finals if you wish…. It has been a few good weeks for the flatland archives here on FM! And today a real treat from the japanese flatland archives, and the history of the King of Ground contest. The Proseed A and B videos by Juicy Vision has to go down as one of the best contest videos ever, featuring York Uno, Hiroya Morizaki, a young Moto Sasaki, Martti Kuoppa, Viki Gomez, Michael Steingraeber, Shintaro Misawa and many more. Do yourself a favour, grab a cuppa and enjoy this great piece of flatland history. This week I’ve been randomly checking through old Flat Web Tv episodes, when I got to the 2012 Red Bull Circle of Balance Post Game Show I knew my TBT was dialled for this week! The FlatWebTV crew recap the event and get some inside perspective from guys who were actually there like: (myself) Effraim Catlow, Scott O’Brien, Moto Sasaki, Dez Maarsen, Jean-William Prevost, Michael Steingraber, Kerry Gatt and the eventual champion, Viki Gomez.